Choppers Bonnets Verbier is the Alps' leading maker of hand-knitted and crocheted ski hats, beanies and headbands. Now based in Verbier, Chopper and her pompom-maker-in-chief began hatmaking five years ago in the frozen wastes of Zermatt. What began as a way to kit themselves and their friends out in fetching headgear for the slopes quickly grew into a more significant undertaking, with both of them beavering away into the small hours of the winter nights to keep up with demand for what has become the must-have fashion item for the ski & snowboard world's movers and shakers. To further spread their message, Chopper recently invested in a new website which was designed by the legendary Andy Oddsock of Ski & Board magazine fame. Despite looking extremely good, the website unfortunately did not make much of a splash in the search engine world, meaning that prospective hat buyers were unlikely to find it in Google, Yahoo, Ask and the many other search engines busily crawling and indexing the World Wide Web. Feathered Owl Technology was engaged to optimize the website so that it could be properly indexed by search engines and to improve its effectiveness as a marketing tool for the Chopper's Bonnets brand. Following the addition of a text navigation menu to all pages of the site, Google and its competitors are now able to follow all internal site links from the homepage, which has increased the number of indexed pages from one to six. The Owl's creative meta-data writing skills were brought into play to optimise each of the site's page titles for subtly different search terms and to encourage viewers of search results containing entries for Choppers' to click through to the site by dint of engaging and informative page descriptions. 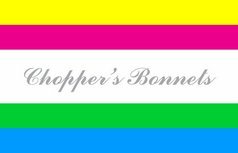 The results are now in - www.choppersbonnets.com ranks #1 in Google's UK index for the search "handmade ski hats" and #5 in the worldwide index for the same term - and this with a pagerank of zero. In time the site's pagerank will rise as other websites link to it and Choppers' many happy customers bookmark it on social networking sites, so expect to see a further improvement in the rankings for searches relating to ski headgear. A final word must go to the Choppers' team. The Boss has declared herself "well happy" with their new-found visibility on the Internet, with her pompom-making sidekick reportedly "over the moon". We wish them every success and a busy winter of knitting and crocheting. Feathered Owl Technology is an independent IT consultancy based in London, UK (and various Alpine locations during the winter). To find out how your brand can benefit from our website and search engine optimization services, please email us or or submit a comment to this blog post.